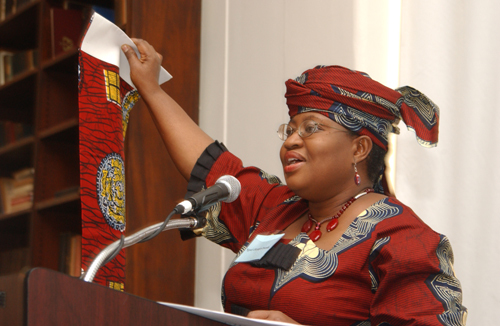 The Coordinating Minister of the Economy and Minister of Finance, Dr Ngozi Okonjo-Iweala has requested the World Bank’s assistance to create a database to improve social safety nets in the country. Speaking on Sunday in Washington DC at the Spring Meeting of the World Bank and International Monetary Fund, she stated the importance of social safety nets and explained that they could only be successfully achieved with a good population data base. She went on to explain that having a database of members of the population and their income levels would help government in determining how to distribute funds. “So, I insisted that we don’t have a data base to know who are the poor and what level of income in Nigeria.” she said.